Attention bike passengers! Starting Monday, April 10, 2017, you may find a new on board bike storage rack on your train. We are piloting demonstration bike racks that offer room for more bikes. The demo racks will be up for approximately one month, and we will be collecting passenger feedback during the pilot period via a survey. The demo racks will only be available in one cab car (car 8302) each day, but we’ll be rotating it among different trains, so regular riders should be able to test the rack out at least once during the month-long demonstration period. After loading your bike into the angled hook, pull out the black extendable part of the stabilizer arm and rotate the hook to secure onto your bike’s top tube. If you have a U-lock, loop your lock into the hoop at the end of the extendable stabilizer arm and lock with your top tube. 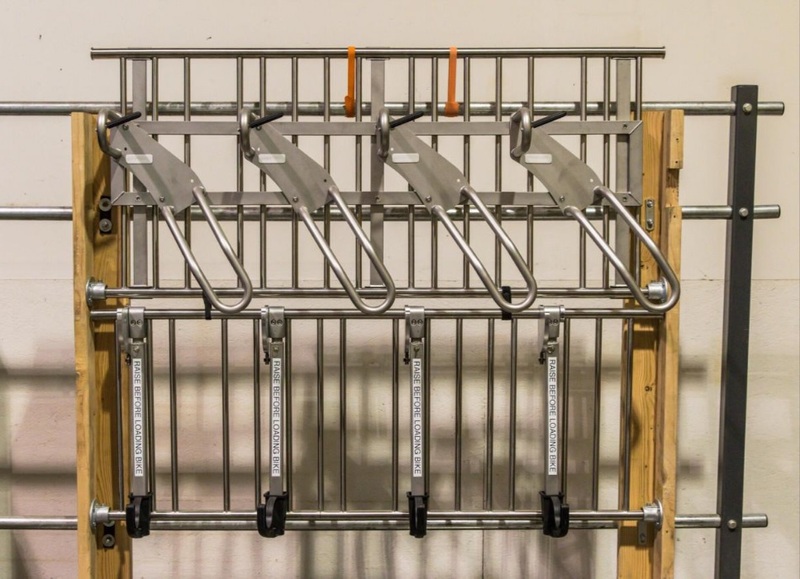 If you got a chance to test the angled demo racks, please take this short survey to let us know what you think!